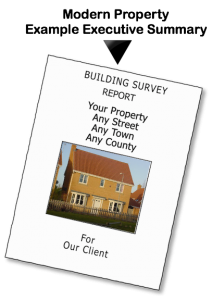 We will speak to the client, we will arrange the survey. The contract is however between you and the client. You will then be able to speak to the client and meet them at the survey and guide them through any problems, issues and opportunities that you’ve identified. Our Executive Summaries are divided into Good, Bad and Ugly. We have decided to use these terms because we believe that many reports are very negative. The Good section where you can identify the potential of the property. The Bad section contains, what we would term as, solvable problems, or problems that you consider your client will be happy to negotiate on, or deal with. The Ugly section is when you are recommending your client to walk away. This could be because it is beyond the limits of their risk profile, which obviously varies differently from client to client. We have in the past, as Surveyors, recommended the client buys properties with structural problems as it suits what our client wants to do and equally we have recommended clients where there is a high level of maintenance not to purchase as the property wouldn’t suit their risk profile/lifestyle. We have examples here of old and modern property templates and have a large database of all types and Eras of properties from Tudor to Non Traditional to New builds and from Bungalows to Semi and Detached to Flats. 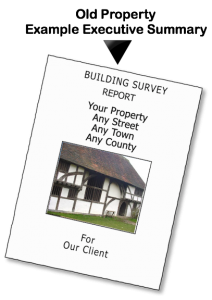 Each of our templates have been tried and tested and we don't stop there as they are revised to fine tune to ensure they are easy to use and up to date with information as well as including many of our unique survey sketches too. 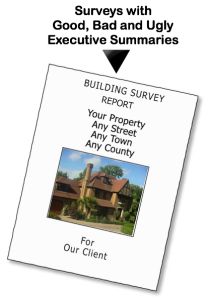 Our templates are easy to use and contain carefully worded plain English text, image boxes for photos and sketches to be inserted, building definitions and within the Appendices some of our many surveying articles appropriate to the particular Era template. If you need any help with our Era templates then our team of PA's and secretaries are always happy to help; they have been using helping with the development of our templates for many years.